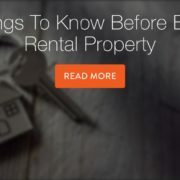 If you’re considering renting out your home or buying a piece of rental property, there are some things you should know about property management. DFW and the surrounding areas can be great places to own rental property if you know what you’re doing. Below are six things every property owner should know before they make the dive into property management. Know Local, State, and Federal Laws. Picture this: You find the perfect rental property in a well-maintained neighborhood with all the amenities. You sign all the papers and the property is yours! You put up a For Rent sign and wait for the applicants to roll in. But instead of applicants, you get a letter from your new Home Owners Association. It turns out that packet of HOA rules you skimmed through and signed has a clause saying they will only permit ten rental homes in the neighborhood, and your property would be number 11. Many landlords are surprised when they find out that an HOA can limit the number of renters. Unfortunately, HOA rules are just the tip of the iceberg when it comes to need-to-know laws. Violating the Fair Housing Act, for example, can land you a lawsuit, hefty penalties, and attorney fees on top of that. Getting into Ft. Worth property management means knowing all the rules and laws that apply to you, your property, and your tenants. Breaking a rule because you’re unaware will leave you in a tight spot, and could jeopardize your investment and your reputation. Understand the TRUE Cost of Property Management DFW. As we mentioned above, owning rental property in DFW can be a great investment. In fact, Business Insider recently named Dallas as one of the top places to buy rental property in the US. But before you buy, make sure you know all the costs that surround your new investment and only buy a property that will give you positive cash flow. If you plan on financing your rental property, then the rent you bring in needs to cover your mortgage, taxes, insurance, and fees. However, if your rental income only covers these items, your cash flow will still be negative. Why is that? You need to plan for regular maintenance and emergency maintenance, as well as turnover between tenants. Depending on the age of your house you should put aside 1-2 months worth of rent for yearly maintenance costs. An experienced Fort Worth property manager should be able to help you come up with an estimate of the cash you should have on hand and the positive cash flow you will need each month to make your investment successful. Treat Tenants Kindly. Property management DFW is easier and more successful when you have a good relationship with your tenants. When tenants feel disrespected or unheard by their landlords, they are more likely to move when their lease is over. 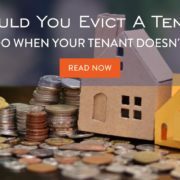 Tenant turnover is time consuming, expensive, and in many cases could have been avoided with a better landlord-tenant relationship. One way to help is to make sure all policies and procedures are laid out clearly in the lease and followed closely by you and your property management team. Your tenant should never feel like you tell them one thing then do another, and you should leave emotion out of your interactions. Many landlords feel professional property managers can help this relationship a great deal because of the experience, professionalism, and promptness they offer. Be Proactive About Maintenance. There is no avoiding maintenance around your rental property, whether it is simply replacing air conditioning filters or replacing your whole AC system. Professional Ft. Worth property management knows from years of experience that the more proactive you are about maintenance, the longer your home’s systems will last, and the happier your tenants will be. For example, a yearly tune-up of your AC system costs between $80-$100 and could add years to the life of your system. It can cost $4,000 or more to replace the whole system. You can see how small yearly costs can save you thousands of dollars over the life of your property. Regular property inspections are a good idea for many reasons, but especially to identify ways you can be proactive about maintenance. An inspection will help you catch small issues your tenant may not notice, like a leaky pipe before it becomes water damage and mold. Proactive maintenance has the added benefit of showing your tenants that you care about your property and by extension, you care for them. Screen Every Tenant. Applicant screening is an easy step you can take to avoid turnovers and evictions. Every applicant over 18 should be thoroughly screened including a background check, credit check, and rental history. You should verify your potential tenant’s job status and income to ensure they can pay rent. Most professionals recommend a tenant’s rent payment be no more than a quarter of their monthly income. That means if they make $4,000 a month they can afford $1,000 for rent. Never make the mistake of renting to a tenant who refuses to let you screen them, or is unwilling to give references or rental history. These tenants quickly lead to unpaid rent and evictions. In the long run, it is worth it to wait a few more weeks for a qualified tenant than bet on one who is unqualified. Know When to Ask for Help. When it comes to property management, DFW landlords need to know when to hire professionals. Being a DIY landlord can work out for some people, but often property owners make mistakes that can put their investment at risk. When hiring residential property management, Fort Worth landlords not only get someone who will handle the day-to-day activities of running a property, they get the years of experience and wisdom that entails. If property management is not your full-time job, you cannot be expected to know the ins-and-outs of Federal Housing laws, maintenance and inspection schedules, and what to do to avoid an eviction. Many property owners are surprised to learn that they profit more after they hire a full-service property management company, even after they pay management fees. Professional property managers know how to cut costs without cutting corners, making your investment into a success. If you want to know more about hiring a full-service, professional property management company, call Specialized Property Management Fort Worth today. 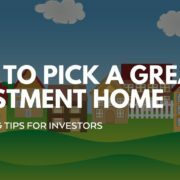 Picking a great investment property is hard work, and there are many factors you need to consider. If you’re in the market for a single-family home to use as an investment, you can get help from a local Arlington property management company. The type of property you pick will affect how easy or difficult your Arlington rental property management is, so choose wisely! Below are our best home buying tips for investors. Try to think like a renter when you’re buying an investment property. Are there good schools nearby? Is there easily accessible public transportation? Is the home on a busy or quiet street? If you’re not an area expert, find an Arlington property management company who has local expertise and can advise you. Specialized Property Management Fort Worth has property managers with years of experience who can help you narrow down the perfect neighborhood to buy in. Typically a home with three bedrooms, a fenced-in yard, and laundry hookups will rent out faster than those without these features. Homes with an unusual layout, such as no master bathroom or with unusable space, should be avoided. Neighborhood amenities are important too, such as a community pool and park. Some HOAs have rules regarding rental homes, so check all HOA bylaws before purchasing a home. Look at other rental homes in the neighborhood so you can get a good picture of the kinds of homes available and the average price of rent. Your Arlington rental property management company has local market expertise and can guide you to a rental property that will perform well in the market. If you’re finding it difficult to narrow down your buying choices, you can contact the local experts at the Arlington property management company, Specialized Property Management Fort Worth. If you are able to make a wise choice when you buy your investment property, that will make everything easier down the line. Desirable homes will attract quality tenants, giving you the cash flow you need to make your investment successful. So, when you are ready to buy an investment property, do your research and hire the local market experts at Specialized. Call today for a free rental consultation. Many landlords think self-managing will save them money. But is that true? The complexities that come with Arlington residential property management are not always obvious to first-time landlords. Knowing all the housing regulations, HOA rules, and laws surrounding rental properties takes time and experience. If you make a small mistake that could mean a big fine. 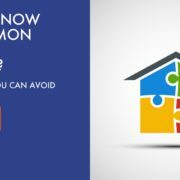 Below we have listed the top five mistakes landlords make so you can be aware and try to avoid them! Landlord Mistake 1: Too Many Vacancy Days. Vacancy days can be one of the biggest costs to property owners. Each day your property sits empty you lose money. Inexperienced landlords often try to cut costs by doing things like shutting off utilities or putting off needed repairs, but this tactic only leads to more vacancy days. 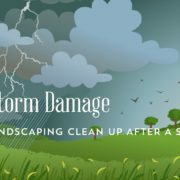 The professional Arlington residential property management team at Specialized Property Management Fort Worth can help you avoid these losses. Landlord Mistake 2: Placing Under-Qualified Tenants. Often landlords don’t know or don’t care to thoroughly screen each applicant as an Arlington residential property management would. Checking an applicant’s background, credit, and rental history means you will have a better picture of their ability to take care of your home and pay the rent. Landlord Mistake 3: Poor Tenant Communication. One reason tenants look to move at the end of their lease is poor communication with their landlord. Tenant turnover is expensive and time-consuming so responding quickly and respectfully to tenant requests is important. Many landlords find that Arlington property managers are a great help when trying to communicate with tenants. Landlord Mistake 4: Overlooking Maintenance Needs. Failing to maintain your home’s systems, like the air conditioning, will give them a shorter lifespan. When you overlook or put off needed maintenance, you could end up paying more in the form of a replacement system. Landlord Mistake 5: Regulatory Violations. Do you know all the federal housing regulations, local laws for landlords, and HOA rules that apply to your rental property? It is the job of Arlington property managers to stay on top of these ever-changing regulations, so you don’t get stuck with a costly fine. Professional property managers work for you to make sure your property is running smoothly and efficiently. With years of experience under our belts, the Arlington property managers at Specialized Property Management Fort Worth has the knowledge and skills to make sure your investment is a success. To schedule your free rental consultation call Specialized Property Management Fort Worth today! For easier, hassle-free property management, Arlington, TX, landlords need quality tenants. When your tenants are happy, you can relax. 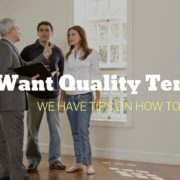 But how do you know the tenants moving into your rental home will keep your home looking nice and pay the rent on time? Below are some ways to ensure you attract and select the right tenants for your rental property. Location, location, location! That is what real estate is all about right? Even more so with rental real estate. If you are in the market to buy a rental property, make sure you pick one in a nice, well-established, desirable neighborhood. The right neighborhood will bring in the right type of tenant. Curb appeal is important! When your home looks nice, it will attract better applicants. Before putting your home on the rental market, clean up the landscaping, get rid of trash or debris, and fix things like broken fence boards. Your Arlington property management may suggest vendors to help with projects like this. For a more desirable home and easier property management, Arlington, TX, landlords should get their home rent-ready before showing it. If possible, wait to show your home until your old tenants have moved out and you have a chance to touch up. Replace any broken fixtures, get the carpets professionally cleaned, replace filters, spruce up landscaping, rekey the doors, and touch up paint. This will give potential tenants the best possible picture of your home when they visit. Any good Arlington property management company can tell you screening applicants is a must. You need to make sure your tenant has a stable job and income so they can pay rent on time each month. A background check and credit check will also give you insight into how stable the tenant is. When you have trustworthy property managers taking care of your home, you can truly relax. The property managers at Specialized Property Management Fort Worth have years of experience that they will put to good use at your property. To learn more about how we can help you attract quality tenants call today! An eviction is every property owners nightmare. The truth is that even a great landlord or Fort Worth residential property management company will encounter an eviction eventually. Your lease should have rent payment instructions including when the rent is late and when you will start the eviction process after non-payment. To protect yourself, your income, and your property, you should follow this process closely. Below we address ways to avoid an eviction, steps to take when an eviction is on the horizon, and how a company like Specialized Property Management Fort Worth can help. The best way to avoid an eviction is by thoroughly screening each applicant. Knowing their background, criminal history (if any), rental history, and employment and income status will help you determine if they are a good fit to live in your home and stable enough to pay rent. Another key to avoiding evictions is good communication. A Fort Worth residential property management company can help you foster good communication, and give your tenants confidence that their needs will always be met. What if an Eviction is Necessary? What can you do if a tenant does not pay rent? If you have followed the rent payment guidelines in the lease and given your tenant time to pay rent, but they still do not pay, you will need to start jumping through the legal hoops as soon possible. The longer you wait to give your tenant a Notice to Vacate the longer you will have to wait for your property to be vacated and another tenant to be placed. Property owners who want to be extra-protected against the headaches, hassles, and costs of evictions can purchase our Eviction Protection Plan. With this plan, our property managers will take care of all the legal paperwork, filing, notices, initial hearings, and fees associated with an eviction. To add Eviction Protection give our office a call today. Experienced property managers can make all the difference at your rental property. Whether it is properly screening tenants, communicating clearly with tenants, or processing an eviction efficiently, our property managers have the skill and experience to handle it. If you have any questions about avoiding evictions, our Eviction Protection Plan, or want a free rental consultation, call Specialized Property Management Fort Worth today! 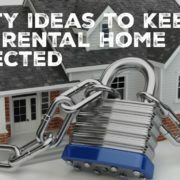 Any good Fort Worth property management company can tell you winter presents a tough problem for landlords who want to keep their rental property secure. With tenants traveling for the holidays or other winter vacations, properties are often left unattended for long periods of time. How do you keep your rental property secure from crime? Below are our best tips for your rental property. Buy secure locks for every exterior door and window. Make sure each exterior door has a deadbolt, and re-key between every tenant. For the safety of your tenants, each window must open, but ensure it can also lock securely. Install a security system. There are plenty to choose from in today’s market, including some with camera systems if your tenant is comfortable with that. Make sure your tenant knows how to use the system, especially if it was installed before they moved in. Hang motion sensitive security lights. Put these lights on the walkways that lead to exterior doors so anyone trying to enter at night will be lit. Remove shrubs or other items that would allow thieves to hide. Install landscaping that will not allow a person to hide while they are sneaking in or out. Move items like grills, so they do not become hiding places. Thoroughly screen tenants before they sign the lease. This will allow you to be aware of any criminal history including theft. At Specialized Property Management Fort Worth we do everything we can to make sure your property is secured. Property managers take care of re-keying in between tenants, and can add any of the above safety features to your property. When you hire a professional property management company in Fort Worth your property is taken care of, even if you and your tenant are out of town. To learn more about our full-service property management company, call Specialized Property Management Fort Worth today. 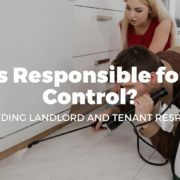 Who is responsible for the pest control at your rental property: landlords or tenants? How do you take care of pests at a rental home? Are there habitability laws that affect landlords and their tenants? While this is not expert legal advice, hopefully, these questions and answers can provide some guidance on your landlord-tenant relationship. For the answer to this question take a look at your lease. Most of the time in Fort Worth rental property management, a lease will state landlords are responsible for reasonable pest control treatments. As a landlord, it is a good idea to take this matter into your own hands, because you never know if your tenant will pay for treatment on their own. If your tenant fails to do their part in keeping pests out, that could cause damage to your property. As a landlord, you may be required by law to keep your rental property in a habitable state. If your property has an insect or rodent infestation, it could be deemed uninhabitable, and you may be forced to make repairs, so the property does not violate health and safety standards. If you leave pest control in the hands of your tenant, there is a possibility they will let pests get out of hand to the point the property is uninhabitable. That is one reason good Fort Worth rental property management recommends landlords take responsibility for the pest control. Performing proactive maintenance is especially important when it comes to pest control. Hire a local pest control professional to spray around your rental home periodically, such as once in the spring and once in the fall. This will help keep most insects and rodents at bay. Be sure to let your tenants know when the pest control will be at their home, so they can keep pets indoors during the spray. Pest control should be something your Fort Worth property manager takes care of as part of their proactive maintenance schedule. Specialized Property Management Fort Worth takes an extra step with regular inspections, reports, and pictures uploaded to your online portal, so you know exactly what state your rental property is in. To learn more about all our services call Specialized Property Management Fort Worth today. Methamphetamine is commonly produced and used in every part of the country. Meth use, according to the CDC, causes thousands of deaths each year from overdose. If your home is being used to create meth, this could lead to serious legal issues for your tenants and costly clean up at the property. 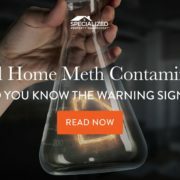 With a professional property management company, Fort Worth landlords will be alerted to meth contamination red flags and be able to view inspection reports and pictures from their property. Here are some things to look for if you are worried about your tenants engaging in this illegal activity. Empty chemical containers: to cook meth, producers need a large supply of a few household chemicals and medicine such as decongestants, iodine, sulfuric acid, hydrogen peroxide, paint thinner, lye, freon, phosphoric acid, acetone, and ammonia. Chemical smell: if you or any neighbors notice a strong chemical smell that could be a sign your tenant is cooking meth. Meth lab equipment: certain equipment is used to make meth. If you notice rubber hosing, glass containers, fuel canisters, propane tanks, pressurized cylinders, or respiratory masks you should investigate further. Security system, trash, and unusual activity: if your tenant seems to act strangely with no explanation, such as installing a security system without asking, creating a large amount of trash, or becoming especially active at night, these are also red flags. If you suspect your rental home, or your neighbor’s home, has become contaminated by meth, report it to the police immediately. Cooking meth contaminates an area so that it remains hazardous even after it is vacated and no longer used to cook. Only a trained professional should enter the property. Without proper training, an inexperienced person could do more harm than good by trying to assess the problem or clean it up themselves. As a landlord, you are required to pay for the cleanup and cannot rent out the home until it is given a clean bill of health from the government. To learn more about how a professional property management company can help, or set up a free rental consultation, call Specialized Property Management Fort Worth today.